As a cruising region, the Middle East -- the Arabic countries bordering the Arabian and Red seas as well as the southeastern Mediterranean -- remains in flux. While continued fallout from the Arab Spring uprising from late 2010 to mid-2012 has affected cruising on Egypt's Nile River and occasionally bumped Tunisia's La Goulette from itineraries, the more stable countries of the United Arab Emirates, Oman and Jordan are receiving more cruise ships in the Arabian Gulf. Also, newer cruise destinations like Bahrain and Qatar strive to improve their infrastructure. The increase in confidence by cruise lines about sailing in the region is, of course, good news for cruise travelers seeking exotic adventures and for those who want to explore places beyond the more familiar destinations in Europe, Alaska, the Caribbean and Hawaii. Europeans, in particular, flock to the Middle East for guaranteed winter sun. Depending on your itinerary, a Middle Eastern cruise can offer a bountiful buffet for fans of history, with stops at some of the world's most notable ancient sites, from Egypt's pyramids to Jordan's lost city of Petra. It will also surprise you with its embrace, in many cases, of contemporary Western-style tourist features, such as Dubai's over-the-top-luxury hotels and manmade beaches. The bustling port city of Aqaba, with its outdoor cafes, almost evokes a scene from southern France. Ultimately, though, the main reason to sail there might be the chance to be enveloped by the Muslim culture and lifestyle that, for all its importance in world affairs, often can't be understood without first-hand experience. Coming to this part of the globe is eye opening, in more ways than one. You'll return with a better understanding of the mixture of history and modernity, wealth and poverty and religion and social issues that make the region so tumultuous -- and fascinating. The Arabian Gulf sailing season runs from December through March, when the weather is mild and you're guaranteed sunny days. 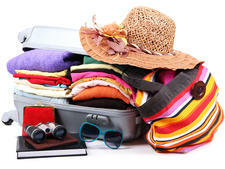 Repositioning trips tend to happen in late October and early November and again in late March and early April. 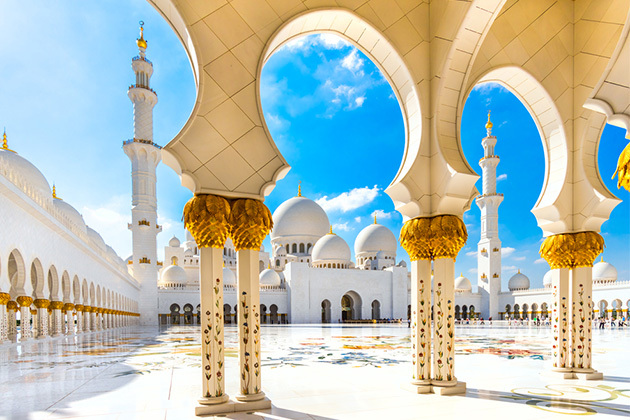 Smaller cruise lines, such as Silversea, Seabourn, Oceania, Crystal, Star Clippers and Regent Seven Seas Cruises often include port stops in Dubai and other Middle East ports as ships reposition between Asia and Europe. 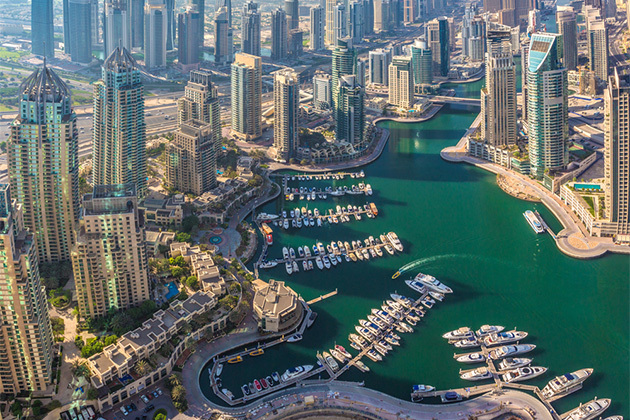 Holland America, Princess, Azamara, Cunard, Royal Caribbean and P&O also usually make overnight stops in Dubai on world cruises or repositioning sailings. 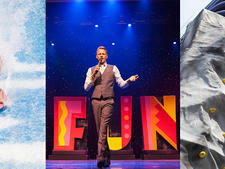 In 2015, Celebrity is homeporting its first ship in Abu Dhabi, while Royal Caribbean is bringing a ship back to Dubai. 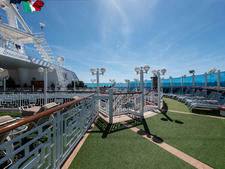 European lines MSC and Costa also offer seasonal Arabian Gulf cruises out of Dubai. Keep in mind that on these ships, Americans are usually the minority, and English might not be the main language. No matter how international the cruise operator, places you won't find open to ships anytime soon include ports in Pakistan, Iran, Iraq, Saudi Arabia and Yemen. Countries in North Africa that are often identified with the Middle East include Egypt, Tunisia and Libya; be warned that these ports may be canceled if unrest flares. 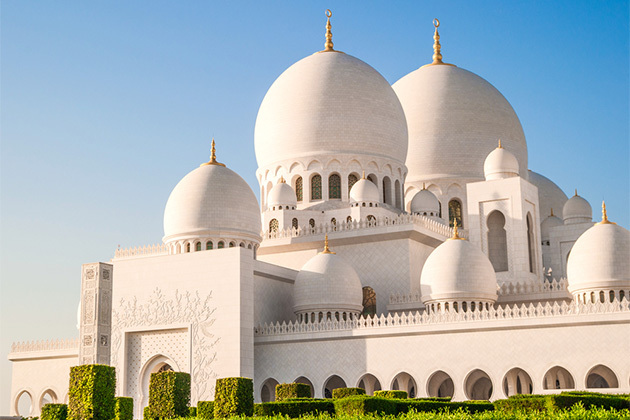 Arabian Gulf: Usually seven nights, with an overnight in Dubai, Abu Dhabi or Muscat, these cruises focus on desert adventures, cultural explorations and shopping, either in malls or souks. (Americans might be more familiar with the term Persian Gulf for this body of water. Countries where cruise lines stop, however, prefer Arabian Gulf so that's what the industry uses.) While some cruise lines substitute Bahrain or Qatar for Oman, the ports and tourism infrastructure in these countries are still less developed. Unless you've been to the region before (or collect countries on your passport), we recommend choosing Oman. Suez Canal/Red Sea: Usually a segment of a world cruise or repositioning, these itineraries feature travel from Italy or the Eastern Mediterranean to Dubai, with ships passing through the Suez Canal and rounding the Red Sea and Gulf of Aden past Saudi Arabia. 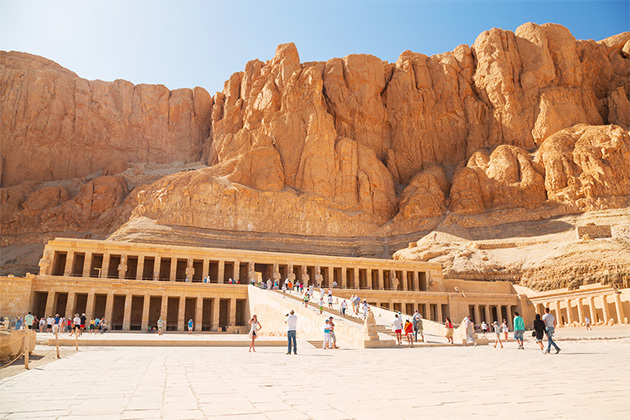 While these voyages are often sea-day intensive, stops in Safaga (for Luxor's Valley of the Kings) and Aqaba (for Jordan's Petra) make these cruises worth seeking. Nile River: A cruise on the Nile is a true bucket list adventure, encompassing all the famous pyramids and monuments of ancient Egypt. For more on these sailings, read our Nile River Cruise Basics feature. Holy Land: This term is often given for cruises that combine stops in Egypt and Israel. 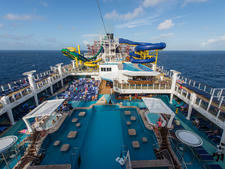 For more on these itineraries, read Eastern Mediterranean Cruise Basics. Aqaba, Jordan. This Jordanian city on the country's southern tip is its only port; one branch of the Red Sea ends there. From your ship, you can see three countries: Egypt, Israel and Jordan. Aqaba is also a major world destination for scuba divers and snorkelers, with gorgeous and significant coral reefs located nearby. But the real reason ships call there is for the trip to Petra; this majestic, mysterious and eerie lost city, dating back some 2,000 years, is a two-hour drive away and is one of a handful of world sightseeing experiences that really should not be missed. Dubai, United Arab Emirates. One of the United Arab Emirates, Dubai is a bit like an Arabic Las Vegas (sans the gambling and over-abundant alcohol). It's a city in a state of constant development. There are construction sites everywhere -- for new hotels and resorts, high-rise condos and gargantuan shopping malls. In this desert city, glittering skyscrapers tower over gorgeous beaches. Dubai is also known as a shopping mecca via old-world gold and spice souks and new-world mega-malls. Another claim to fame: The city is a major airport hub for the region. Just about all major airlines fly there, as does its own homegrown airline, Emirates, considered one of the world's best airlines, and many cruises will start or end their voyages in Dubai. Muscat, Oman. South from the U.A.E. on the Arabian coast, Oman's capital city is magical and quite a contrast to its bustling northern neighbor. 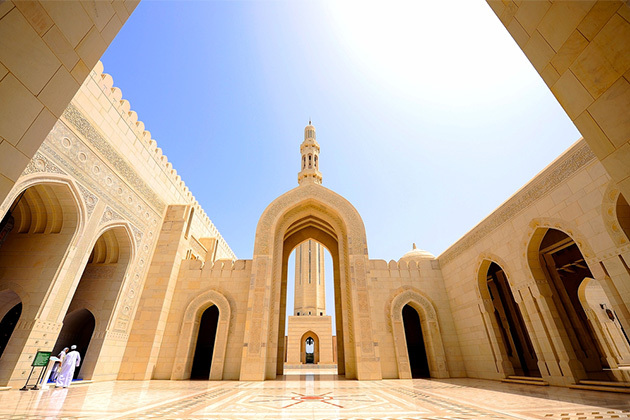 Muscat's architecture, most of which is fairly modern, from the Grand Mosque to the Sultan's 1970s-esque palace, is elegant and features Islamic design. The old port city boasts one of the region's best souks. There are lovely beaches for swimming, gorgeous scenery beyond the city and genuinely elegant resorts (whether for an add-on stay or a lunch while in port). Don't miss Chedi, a contemporary Arabian-influenced resort, or the more traditional but still lively Al Bustan. Safaga (Luxor), Egypt. This Egyptian port is a drop-off spot for overland trips to the Valley of the Kings -- where highlights include the temples of Luxor and Karnak. It's a long bus trip from your cruise ship, almost four hours each way. But when you descend into some of the tombs and view murals that have been around for thousands of years and see the ancient world spring to life, you'll forget about modern-day travel hassles. If you're sick of ruins, the beaches are known for diving and windsurfing. Salalah, Oman. While not as beautiful as the country's capital, Muscat, Salalah has considerable charm as a cruise port of call in Oman. Its annual Khareef (monsoon) gives the city and the nearby al Qara Mountains a temperate climate, creating an emerald oasis amid the sand dunes. If you want pretty Arabia, you'll find it there -- complete with leafy boulevards and elegant buildings that have been created in traditional Islamic style. 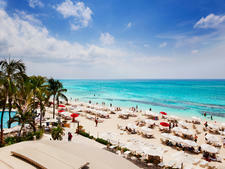 It also has very pretty beaches and is a haven for Scuba divers and birdwatchers. The city also is steeped in Biblical tradition, with notable ancient sites -- including a ruined palace believed to have belonged to the legendary Queen of Sheba and the tomb of the prophet Job. Sharm el Sheikh, Egypt. This port on Egypt's Sinai Peninsula is a popular winter resort for Brits and Europeans; this portion of the Red Sea also offers outstanding snorkeling and diving. History lovers may want to take an excursion to the monastery of Saint Catherine, considered the oldest surviving center of Christianity. 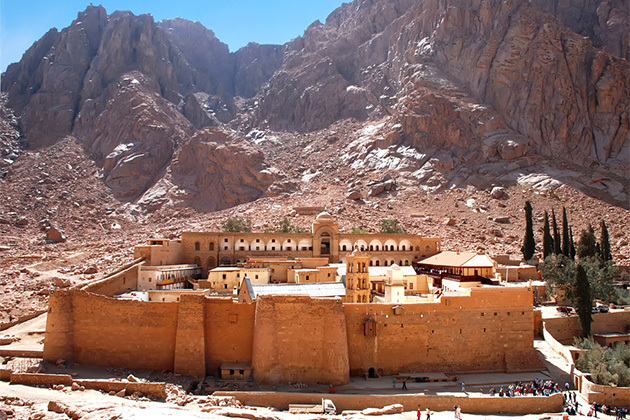 Located near Mount Sinai, the monastery is a UNESCO World Heritage Site. Suez Canal. While not as dramatic a sight as the Panama Canal (the Suez has no locks or especially scenic vistas aside from the desert), this canal, built in 1869, links the Red Sea to the Mediterranean and is the world's most strategically important waterway. Language. While Arabic, in its numerous dialects, is preeminent, many Arabian Gulf countries have large expat communities and almost everyone speaks English. Fridays. In Muslim countries, the weekend begins Thursday, and Friday is the main day off. Expect various closures, from restaurants to shops. Many ships will try hard, if possible, to spend Fridays at sea for that reason. Documentation. If you have Israeli stamps in your passport, you may be denied entry into many of the Arabic countries included in these itineraries; check with your cruise line if this applies to you. Medication. In the United Arab Emirates, many common U.S. prescriptions, such as antidepressants or medications with codeine, are illegal. Bring a copy of your doctor's prescription with you. Pirates. Although exceedingly rare, pirate attacks against ships have taken place in the region, and you're likely to get a warning notice in your cabin, particularly in the Gulf of Aden or when your ship travels from the Arabian Gulf into the Gulf of Oman. While there's usually no cause for alarm, the warnings are not to be taken lightly. Follow your cruise ship's protocol for these situations. Photography. It is considered highly inappropriate to photograph Muslim women in their traditional garb. Don't do it. And while many of the friendly men and kids are delighted to be photographed, ask for permission first.